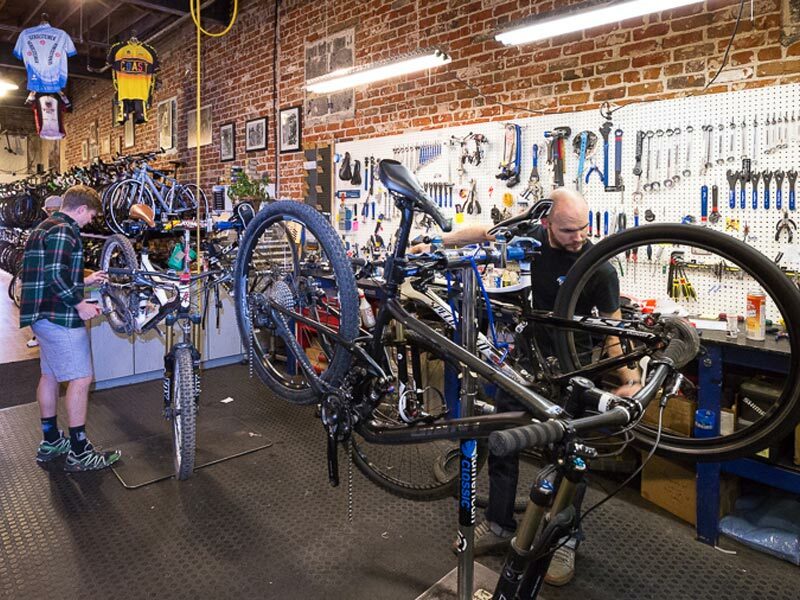 We guarantee all work on every bicycle we service at Peak Cycles. Our guarantee means you only pay for our service once. If for any reason you are not satisfied with the service we have perfomed, please let us know and we will do whatever it takes to make it right. We also guarantee you will get the parts you want, not what we happen to have on-hand. With the power of our website (BikeParts.com) we have access to over 50,000 parts which are avaialble next-day. We sell you exactly what you want for your repair or upgrade. When you bring in your bike for service, we will give you a free estimate of the work that's needed. One of our service technicians will discuss in detail what we recommend for your repair according to your needs and budget. When you purchase a new bicycle you are making an investment with your local shop. To show how much your business means to us we offer lifetime free adjustments as long as you own the bike. That means we will never charge you for small adjustments that are always needed to keep you bike running great. This includes derailleur adjustments, brake adjustments and headset adjustments. Most of our repairs are scheduled but if we can do a quick repair to get you rolling, we will. Flat tires and small brake/derailleur adjustments are always welcome. If the repair is going to take a while, we will let you know and schedule you in for service. We can build any custom wheel you can imagine. With our vast access to any rim, hub, and spoke combo in the world, we can build whatever you want. We stand behind our wheels so much that we offer lifetime unlimited wheel trues. Our wheels are solid. The Drivetrain Degrease is for when just your chain, cassette and cranks are just plain filthy. The Standard Tune is for when your bike needs some love. - Security check for all accessories, i.e. water bottle cages, light, computer, etc. The Deluxe Tune is for when your bike is in need of some special attention. The Comprehensive Overhaul is for when you have completely neglected your bike and you are trying to show it you are still in love with it. The Mtb Full Suspension Overhaul is for when you have absolutely trashed your mountain bike.